Italian Parsley and I are having a great love affair. It’s magical. We should all eat more. With olive oil, in mass. 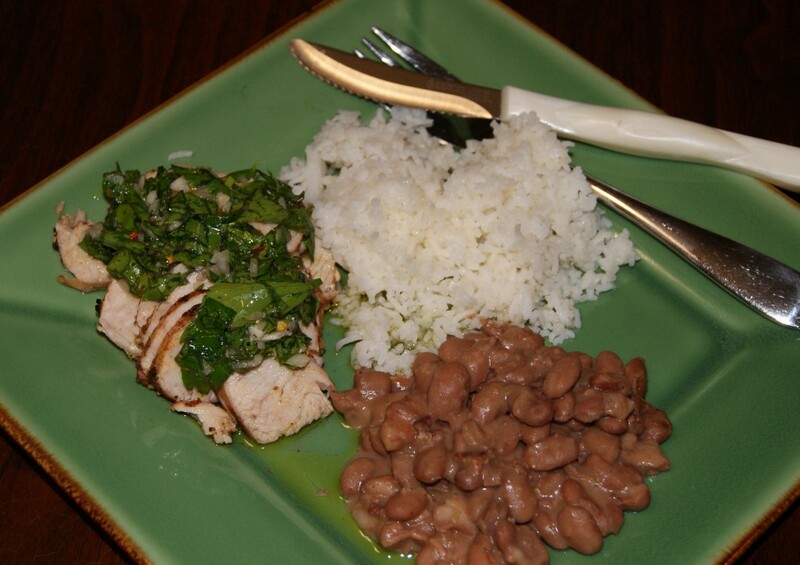 Last night I cooked some quick Turkey Tenderloins with a fresh and bright chimichurri. Turkey tenderloins? What’s that you say? Yep, they’re found in your grocery, though a simple turkey breast bone in, is much more tender. But the tenderloin is quick, healthy and ready to please. Plus, it’s easy to save leftovers for a sandwich. Top with more chimichurri, a few slices of oatnut and you’re good to go. So on this rainy, dreary night, I bring you an express meal. Preheat oven to 375. Sprinkle the entire surface of tenderloins with salt, pepper, paprika, and a smidge of Old Bay, ensuring you coat all sides. Heat a braising pan over medium heat for 3 minutes, add olive oil, swirl for 30 seconds then brown turkey tenderloins on all sides. Add chicken broth, then cover and move to oven. Cook for 35-40 minutes then check with a meat thermometer. Ensure an internal temperature of 170 in the thickest part, return to oven if necessary. Slice at into 1/2 an inch rounds,then top with Chimichurri. Enjoy!